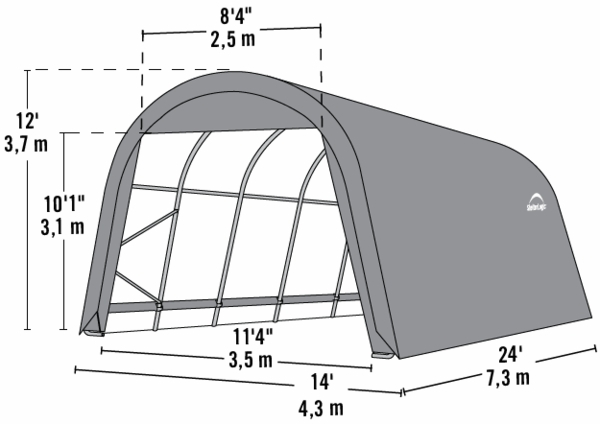 This massive round shelter from Shelter Logic gives you plenty of space for all of your tools and outdoor items. 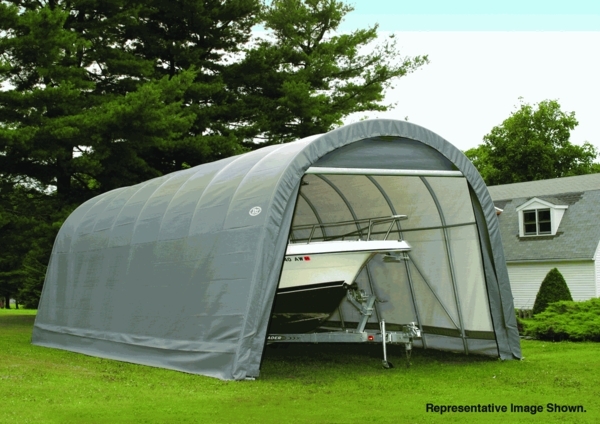 Because the shelter is rounded, it may be able to fit into a tighter space than it's cornered counterparts. The shelter is made of a sturdy steel frame that has been coated with a unique DuPont finish. The powder coating is baked on for increased resistance to cracking and peeling. The cover is made of durable polyethylene that has been woven and coated with UV resistant material for increased longevity.